Whoops! Maybe you were looking for C Sharp? C is short-hand for cookie! We all know that! C is the third letter of the Latin alphabet. After B, and before C++, C#,Cb and C-. C is also the big blue thing in which fish swim and crap. C can additionally be used as short-hand for cookie. C is also what blind people don't do. C means yes in mexican. C is deprecated. It is recommended you use K, S, Q, TS, or C++ instead. C also is without a doubt the worst letter of the Latin alphabet, and most useless waste of spase in the Engrish language, thank god the Amerikkkan Language exkludes it. The letter "C" (as in "Luxusmoszkvicskisbusz-slusszkulcs") wac invented by the Romanc along with aquedukts, kristianity and *Walmart as a weapon with which the barbarian hordes on the frontiers could be subdued and made into functioning, Latinized members of society. The letter C's power lay in its profound uselessness as the Romans had already invented "K" (although they often forgot how to draw it and never really used it) and "S". As time wore on though it became apparent that the letter C and its many phonetic values held true power for anyone who could master them. Though the Romans eventually achieved the greatest mastery of the letter C (this is supported by the fact that no one can seem to make up their minds as to how the Latins pronounced it) some of their subjects and neighbors caught on to its uses and eventually built great empires upon its arcane properties. Think about it, all the masters of the letter C have at one time or another ruled over vast empires spanning multiple continents; the British, the Portuguese, the French, the Germans, the Spanish, but not the smelly Dutch since they use "C" to create awful voiceless uvular fricatives. Later in history other peoples such as the Turks and the Slavs would come across the letter "C", not knowing its true powers, and be completely baffled by its uselessness. Unsure of how to use this mighty letter they adopted it into their languages as all sorts of odd sounds including "ts" and "j". The renowned historian Hermant van Lijt has theorized that this is why the Turks have been unsuccessful in rebuilding their glorious Islamic empire and the west and south Slavs were unable to discover democracy for so long. The letter C comes to us from the word BCPL (pronounced as cormorant; the B is silent), which is Egyptian for "Damn Good." However, BCPL takes a while to spell, especially if you're an Egyptian and you have to cover the entire wall of a pyramid with murals just to write one sentence. So they shortened BCPL to just plain C, and this terminology has stayed with us ever since. C++ is a stupid programming language. THE END! C can be used as a verb, as in C U L8R (d00d). It can also be used as an adjective, but only for things involving turtles: C shell, C side (of a turtle). It can also be used as an adverbial intensifier, as in C sure. Additionally, because of its original Egyptian meaning, in school marks it is used to express the highest possible praise, with repeated C's magnifying the laudations. However, writing many C's takes a long time, so in the tradition of the Egyptians we express multiple C's by writing one followed by a short dash. This is the ne plus ultra of English-language praise. C (when followed by E) is always a K sound (ie. Celt, but not Celt). Unless it makes the TCH sound in TCHaikovsky (ie. Cello). C (when followed by I) is always a K sound (ie. Arcing). Unless it makes the TCH sound in TCHaikovsky (ie. Ciao). C (when follwed by H) is always a SH sound (ie. Champagne). Unless it makes the K sound in tchaikovsKy (ie. Chaos). When reading English, be sure to always pronounce C like the c in cello, cat and cell. The god of Cism (and, by logical extension, ++C) is known as Neptune or Poseidon or simply as The C.
The song of worship is this. C is for cucumber that is good enough for me. C is for cabbage that is good enough for me. C is for coffee that is good enough for me. O cucumber, cabbage, coffee starts with C.
Those who have angered the god of the C in some manner often find themselves C-sick with a C-ring hot pain in their stomach as well as the infamous C-zure. The Unix operating system is well known for being written entirely using only the letter C.
All Operating Systems are written in C to take advantage of the "C"PU. 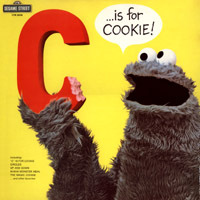 C is also regarded by scholarly figures to be the second sexiest letter in the alphabet, coming behind the letter "J". This was originally discovered by some guy from McDonalds aka MIT. As you can "C", it required vast oceans of syntax and knowledge even to write "Hello World!!". As the communists worked to try to infiltrate the American computer industry, they found it difficult to get Americans to use a programming language whose source files end in "CCCP". So they first shortened "CCCP" to "CC". Today, source code is still seen in files ending with ".cc", but it was finally shortened to "C", which simply stands for the Russian word Croissant. C was the old capital of Wales before the dawn of civilization. C, like R is a marker for indicating that something can be distributed on the Interwebs with alacrity. C is not a vitamin, unlike J, R, P or W.
This page was last edited on 3 October 2012, at 08:31.